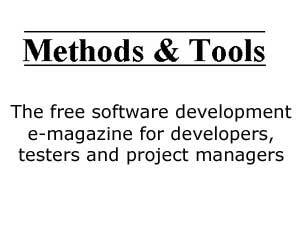 Methods & Tools – the free e-magazine for software developers, testers and project managers – has published its Winter 2015 issue that discusses the social side of code, database continuous intergration and testing REST API. Continue reading"Social Side of Code, Database CI and REST API Testing in Methods & Tools Winter 2015 issue"
Methods & Tools – the free e-magazine for software developers, testers and project managers – has just published its Fall 2015 issue that discusses Ethnographic Approach to Software, Emotional Testing, Lean UX in public sector and Enterprise-Scale BDD. Continue reading"Ethnography, Emotional Testing, Lean-UX, Enterprise BDD in Methods & Tools Fall 2015 issue"
Methods & Tools – the free e-magazine for software developers, testers and project managers – has just published its Summer 2015 issue that discusses Software Gardening, Software Entropy, Hybrid Requirements, Lean UX and agileMantis. Continue reading"Software Gardening, Entropy, Hybrid Requirements, Lean UX in Methods & Tools Summer 2015 issue"
Methods & Tools – the free e-magazine for software developers, testers and project managers – has just published its Spring 2015 issue that discusses Impact-Driven Scrum, Code Review, #NoEstimates,Self-Selecting Teams, Software Laws and the Kanboard and ConQAT open source tools. Continue reading"Impact-Driven Scrum, Code Review & #NoEstimates in Methods & Tools Spring 2015 issue"
Methods & Tools – the free e-magazine for software developers, testers and project managers – has just published its Winter 2014 issue that discusses Agile Analysis, Self-Selecting Teams,Collaborative Development of Domain-specific Languages, TDD with Mock Objects, BDDfire. Continue reading"Agile Analysis, Self-Selecting Teams, TDD & BDD in Methods & Tools Winter 2014 issue"
Methods & Tools – the free e-magazine for software developers, testers and project managers – has just published its Fall 2014 issue that discusses better coding with Coding Dojos, Lean Agile metrics, the difference between requirements and specifications, software testing, java code conventions and project management open source tools. 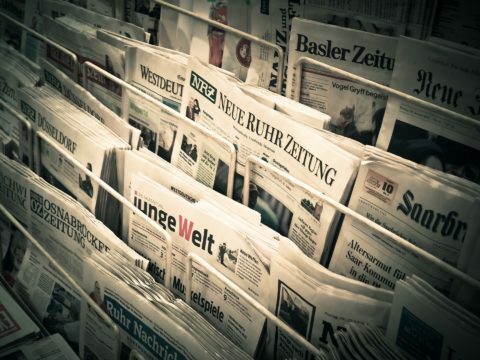 Continue reading"Coding Dojos, Agile Metrics and Specifications in Methods & Tools Fall 2014 issue"